Down home western themed food just like grandma used to make. Serving outstanding homemade burgers, chilli, blt's and more made fresh daily. Sorry, we don't know when Chuckwagon Express will be open next. We last saw them on August 1, 2015 at Alberta Train Museum. Check back soon — as soon as they post their schedule it will show up on this page. 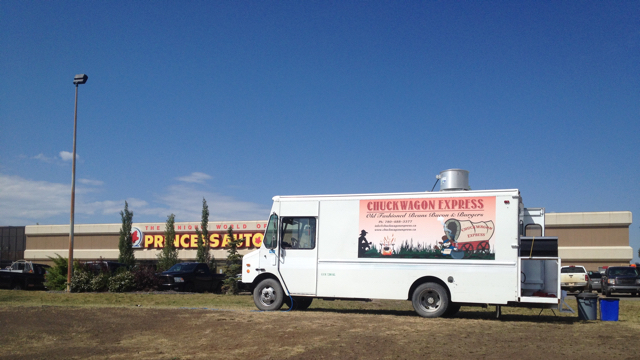 Do you own Chuckwagon Express? Sign in to post your schedule. Roasti Coffee Co. — Sherwood Park based specialty coffee roaster! Serving hot coffee, fresh cold brew, and delicious take-home beans!